Did you know that adult acne affects 25% of males and 50% of females at some point in their lives? Not to worry! The next-generation of acne care just got a makeover. 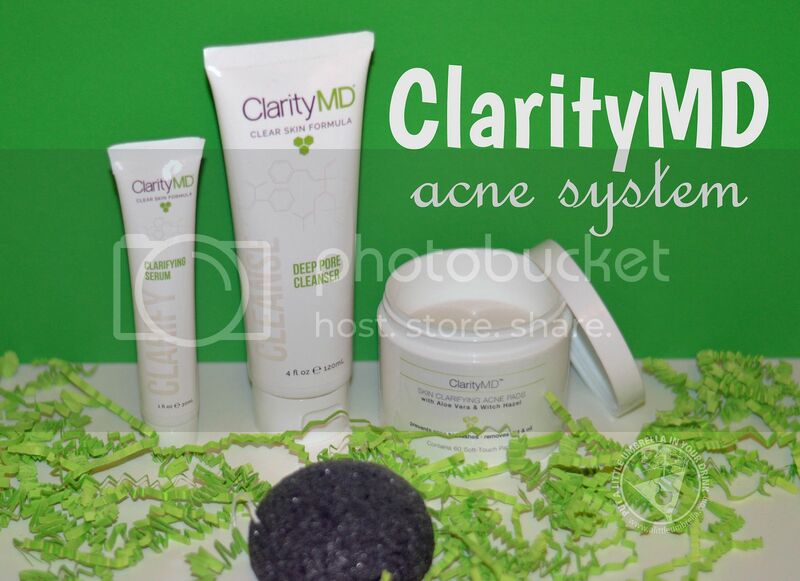 Kill acne with kindness by using the simple 2-Step System from ClarityMD, twice a day. ClarityMD is a bionutrient-based acne-clearing revolution that clarifies skin so that users can finally feel confident and conceal nothing. It does not dry, irritate or cause peeling skin. I was so surprised with how gentle it was on my skin! No burning. No gross smell. Nothing harsh. No more harmful chemicals that hurt acne-prone skin more than they help. So what is ClarityMD's acne-fighting cocktail? It starts with a little-known powerhouse bionutrient called Bakuchiol (buh-koo-chee-aal). Derived from the powerful Babchi plant, retinol-like Bakuchiol has been used for centuries in holistic medicine to quickly and gently resolve skin concerns like blemishes and visible signs of aging. Start with the Deep Pore Cleanser to lift excess oils, dirt, debris, dead skin and makeup. Use twice a day. Wet skin with warm water. Apply a nickel to quarter sized amount of cleanser and lather over entire face for 1-2 minutes, using our Konjac Clarity sponge or fingers. Gently rinse with warm water and pat skin dry with clean towel. Follow with the efficacious Clarifying Serum, which is the secret weapon to acne-free, super smooth skin. Smooth a thin layer over the skin to unleash the healing potential of Bionutrient Clarity Complex, the first, and only, one of its kind. This patent-pending, weightless gel formula kills acne using four key non-irritating, plant-powered ingredients that work synergistically to transform skin. Smooth a dime-sized amount of Serum as a thin layer all over face, concentrating on existing acne areas. Avoid eye area. Allow to absorb completely. Follow with your regular moisturizer and/or makeup routine. That’s it! The ClarityMD system is gentle and effective. I love how it brings you nature’s most effective acne-fighting ingredients in a silky smooth, 2-step anti-aging formula that heals and nourishes skin back to health. Skin is clearer, smoother, more youthful and virtually poreless. Not only does the line provide acne-fighting nutrients, it also hydrates the skin and provides anti-aging benefits. Connect :: Visit myclaritymd.com to learn more about this bionutrient-based acne-clearing revolution. Connect with ClarityMD on Facebook, Twitter, and Instagram. Buy It :: You can purchase the ClarityMD 2-Step System for $49.95.